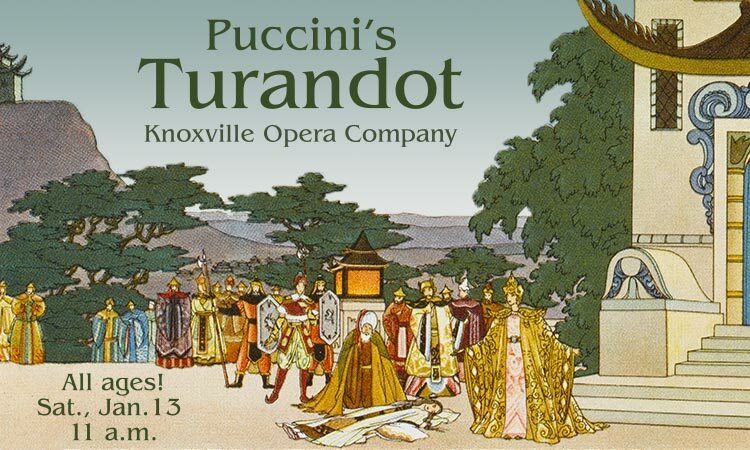 Artists from the Knoxville Opera Company, under the direction of Maestro Brian Salesky perform a free shortened (English) version of Puccini’s opera Turandot on Saturday, January 13, 2018 at 11 a.m. in the Reading Rotunda at the end of the Library’s Main Gallery. Families are encouraged to attend and bring school-aged children. Performers will be in costume and there will be a set and props for this ancient story about a beautiful Chinese princess, the prince who pursues her and his servant girl who sacrifices herself to protect the man she loves. A Mandarin announces that any suitor to the icy princess Turandot must solve three riddles or die. Seeing her, Prince Calaf falls in love with Turandot and announces himself a suitor who will answer the riddles. This abbreviated performance is designed as an education/outreach program to help acquaint students and their families with the beauty and splendor of opera. Following the performance, there will be a Q&A session for students and audience members to interact with the performers. Brittany Robinson, soprano, will perform as Turandot. Aaron Short, tenor, will sing the part of Calaf, the unknown prince. Kristin Vogel, soprano, will sing the part of Liu. Maestro Brian Salesky, Conductor and Executive Director of the Knoxville Opera Company, will emcee the presentation and serve as accompanist. This is the opera that features the popular aria Nessun dorma which legendary tenor, Luciano Pavarotti, made famous during his illustrious career. The music of Turandot was composed by Giacomo Puccini with the original libretto by Giuseppe Adami and Renato Simoni. The story is based on a Persian collection of stories called The Book of One Thousand and One Days by François Pétis de la Croix, with the first performance at La Scala, Milan, on Sunday, April 25, 1926. Although Puccini composed only 12 operas, he secured his place of prominence among the greats of the 400-year history of musical theatre by creating some of the most popular works: Madame Butterfly, Tosca, La Bohéme and Turandot. More information about the opera is available at the Knoxville Opera Company website. Open to the public, this performance is hosted by Blount County Public Library, located at 508 N. Cusick Street, Maryville. 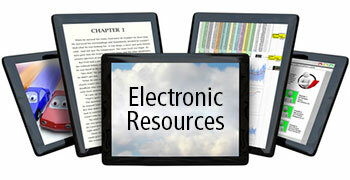 For further information about library programs or services, call the library at 982-0981 or visit the Web site at www.blounttn.org/197.